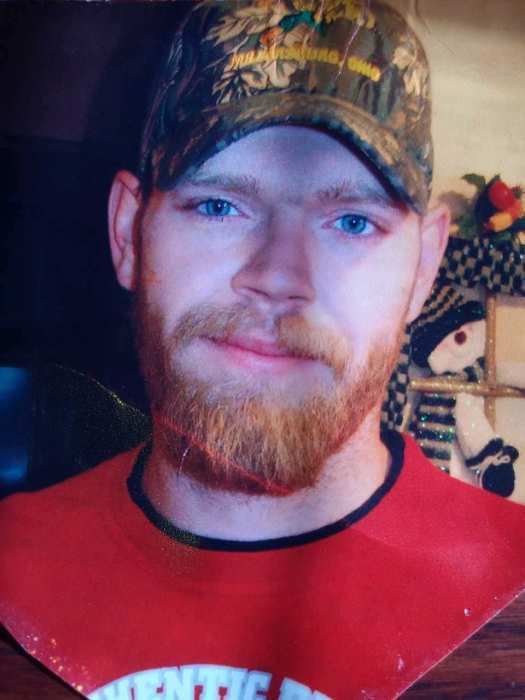 David M. Lang, age 36, of Lakeville, Ohio passed away Sunday, April 7th, 2019 at Pomerene Hospital, Millersburg, Ohio following an electrocution accident that occurred at his home. Celebration of Life service for immediate family only will be held at Hopewell Presbyterian Church with Christopher Stewart officiating. A meal will follow immediately after the interment at Hopewell Cemetery. Those wishing to Share a memory or make online condolences may do so by visiting alexanderfhinc.com. David was born on October 29, 1982 in Akron, Ohio and was the son of Larry and Heidi (Kaser) Lang. On October 20, 2007 he married Lisa Searls, and she survives. David was a 2001 graduate of West Holmes High School. He was a farmer most of his life and worked at Lang-Vue Farm. David enjoyed 4-wheeling, and mud running. He is survived by children, Kaytelynn Sayers, Anna (Brian) Giet, Steven (Heather) Porter and Ryan (Lisa) Porter; 6 grandchildren, Wiett, Alliona, Tyler, Jayden, Mikaylinn and Railynn; paternal grandmother, Mary Lang; maternal grandparents, Glen and Linda Kaser; step mother, Patricia Lang; step siblings, Melissa Martin, Matthew Martin, Lucas Martin and Caleb Martin; aunts and uncles, Loren (Barbara) Lang and their daughter, Alexis Lang, Lisa Lang, Hal (Carol) Kaser and Heather (Chad) Schafer; and several cousins. He was preceded in death by his parents; paternal grandfather, Harold Lang Jr.; and a uncle, Hans Kaser.